There are list of songs ranging from beginner to expert level and you can play any favorite songs in it. However, you won’t get any guided instruction or anything there. It will play like a Rockband which the keys you should press come down from the top of your screen and you just press it and hold until the next notes comes down. You will have more challenging experience when you playing an advanced songs to manage multiple keys at the same time. This is a paid service and you will get interactive lesson from its. You can start your lesson from the basics of the piano until complexity pieces, step by step follow at your own pace. Instead of this, Academy also will teach you how to read sheet music, play chords, and learn meter. The full package just cost you $35 or $19 with just learn sheet music or learn chords. First trial is available. To have more fun on its, alternative way you can plug in your MIDI (Musical Instrument Digital Interface) keyboard and play it. It became more portable with a roll out keyboard and feel like real keys. 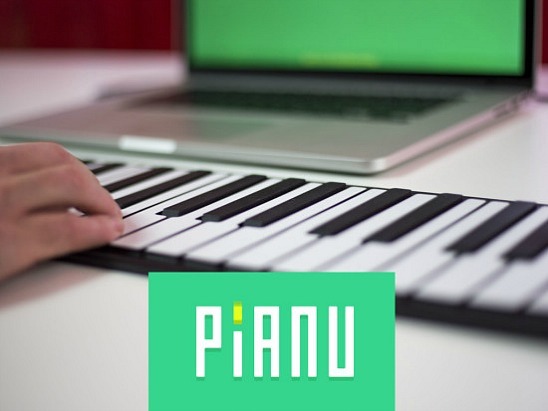 MIDI keyboard comes with 6 octave piano when connected with Pianu. The purpose from the app’s developer Matt Curney and Jacob Anderson is that everyone is affordable and available to learn quality piano.